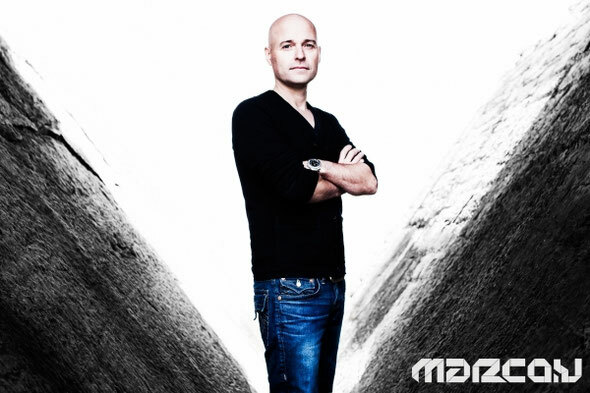 Veteran Dutch superstar DJ/producer Marco V has released an hour long mix of his top ten tracks of April, part of a mix series that Marco puts out every month. Currently there are about 30 radio stations in different countries around the world that broadcast his mixes, which represent both up and coming talent and the world's most recognizable DJs. Born in the Dutch lowlands of Heeswijk-Dinther, Marco Verkuijlen has established himself as one of the most inventive, diverse and creative electronic music minds working today. Behind the decks he has smashed nights in all the world’s farthest corners, played a near uncountable number of tent-pole events for the scene’s flagship club and festival brands. As a result of which he has spent the last seven consecutive years inside the ranks of DJ Magazine’s Top 50. With this latest mix, Marco uses carefully prepared transitions and perfect mixes to display both well-known and unknown progressive bangers.